I am at Wills Eye Consultation Center waiting for a consult with the eye specialist. I’m in pain, and it’s difficult to see. I’m at the Wills Eye Institute in Philadelphia where I am processing some unpleasant news. The recommendation for treatment of my Graves eye disease is either radiation therapy or high dose steroids. I was at Wills Surgery Center today for what I thought would be a quick morning of tests. But the optical surgeon had a lot of questions, so they performed a series of test. We were here until lunchtime. If you don’t know, I have Grave’s Eye Disease which has progressed to the point where I may need surgery. I’ll know in a few weeks when I return for more tests. The doctors are concerned about pressure behind the eyes. If the pressure becomes too high, the muscles of the yes could squeeze the optic nerve and cause blindness. I have a follow up in three weeks for more tests. 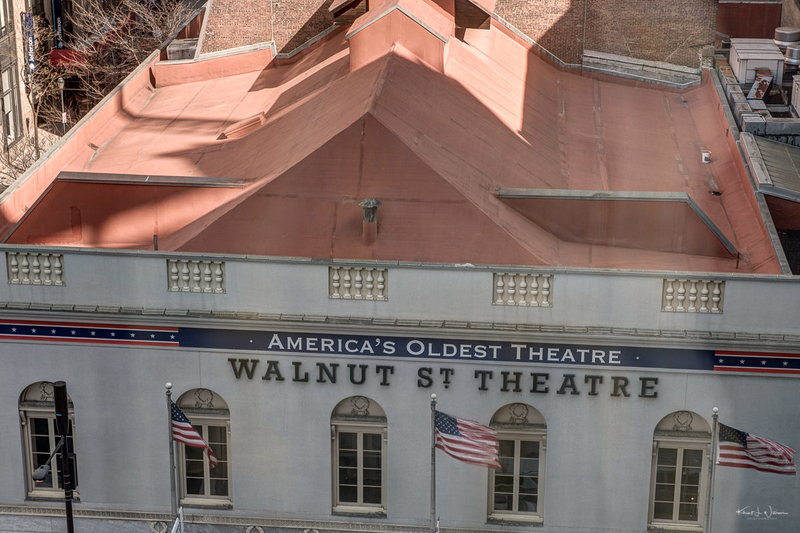 I am looking out at the Walnut Street Theatre through the windows of the waiting room at Wills Eye.